The meaning of “Nalaga’at” in Hebrew is in fact “Please do touch” which is exactly how the actors, waiting staff & visitors to the “Nalaga’at” non-profit center are encouraged to communicate. “Nalaga’at” in Jaffa is totally unique being the only complex of it’s kind in the world. The theatre and restaurant are run by only hearing-impaired, sight-impaired and hearing & sight impaired professional actors and waiters. The curtain first went up at the theatre in 2007, with the performance of a successful international play, “Light is Heard in Zig Zag”. From that moment on, “Nalaga’at” has been steadily creating for and performing to delighted audiences. The “Nalaga’at” experience extends beyond just its fabulous performances, offering a number of exciting experiences that tickles all the senses. 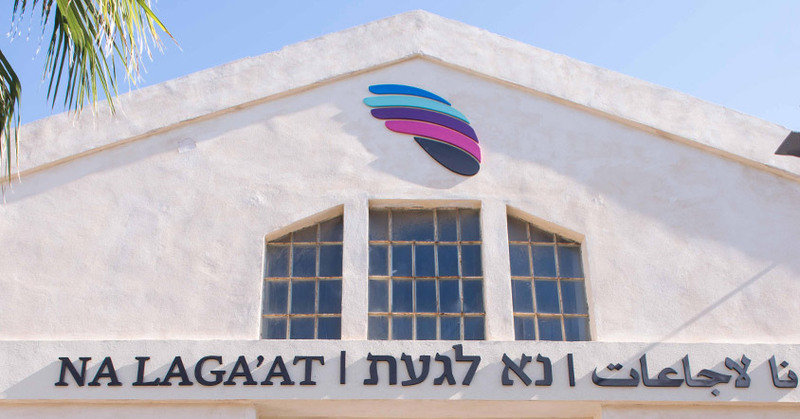 Located in an old renovated warehouse in Jaffa, south Tel Aviv, the “Nalaga’at” complex, is home to the “Nalaga’at” Theatre, the Blackout Restaurant, the Kapish Café Events Center as well as a workshop. – In the Blackout Restaurant, diners are served by sight-impaired waiters and waitresses in a pitch black restaurant, intensifying and sharpening the sense of taste & smell for the sighted. A truly unforgettable experience with absolutely delicious food. – Café Kapish is a stylish event venue, where scrumptious appetizer dishes and fine coffee is on offer. Visitors and the Café Kapish team communicate with each other through touch and sign language. Please, do touch! Please also book. For guests of luxury boutique hotel, The Norman Tel Aviv, our Concierge team are able arrange your whole “Nalaga’at” experience, by booking tickets & arranging taxis for you to get there.